Marianne is a staff writer at Dazed, and a journalist who has written for publications including VICE, Noisey, Little White Lies and Nylon. 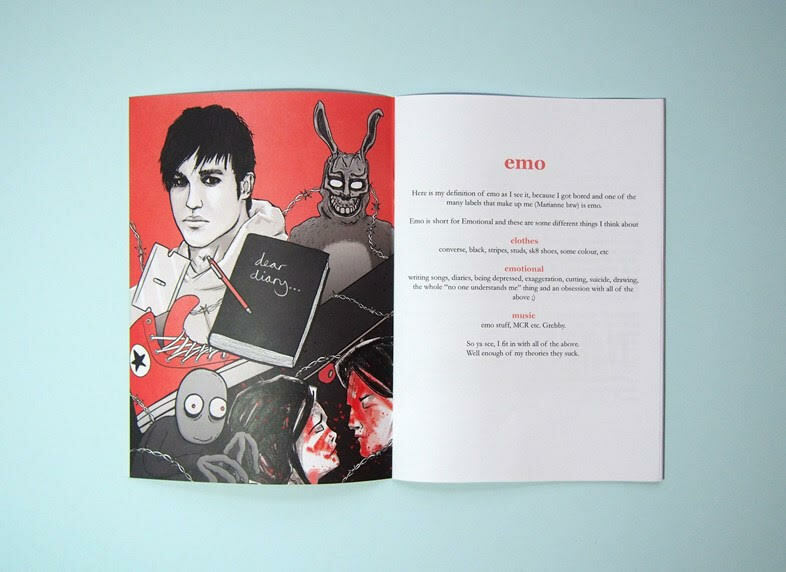 She also runs 'emo diary', a popular Twitter account and zine that documents excerpts from her teenage diaries, and helps to remember (and laugh at) early 2000's culture. Here, she tells us how she 'switches off' from the Internet, even when her job, social life and hobbies all revolve around it. You can find her Twitter here: @marianne_eloise. I love the internet. It wouldn’t be a stretch to say that I, like everyone else, am addicted to it. It appealed to the same part of my brain that, pre-dial-up, made me copy my favourite Guinness World Records down meticulously into a folder; the obsessive, committed, addictive part. As soon as someone let me in on the secret that the internet not only existed but was going to get better, I felt no need to do anything else. It improved everything that I already did. It allowed me to explore all of my obsessions further than I could with books. When I was an emo teen it put me in touch with new music and friends. If I had been born in an internet-less era, I have basically no idea what kind of person I would be. And now I, like everyone else, can’t live without it. And the thing is that, yeah, if some middle-aged dude told me that I use the internet too much and that it’s melting my brain I would be incensed. But he’d have a bit of a point. As a writer and a journalist, it is already necessary to all areas of my work. I need to use Twitter and read the news and research. 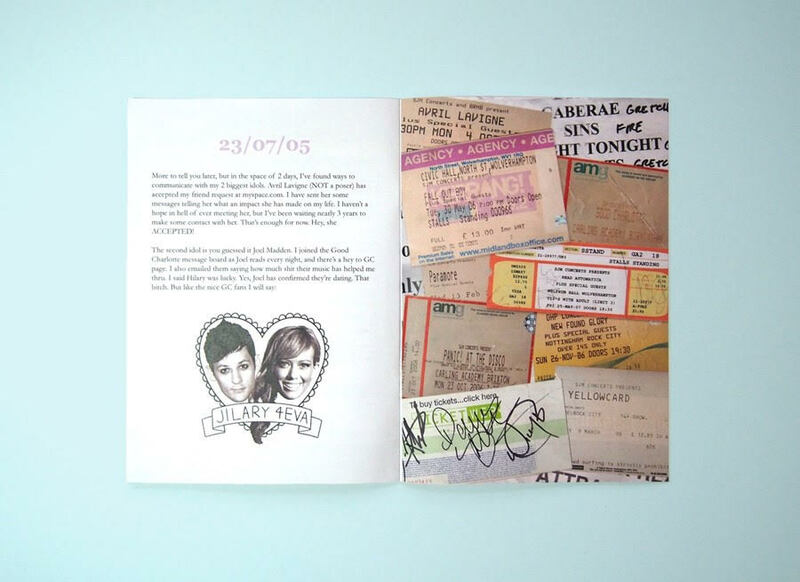 For emo diary, a zine and Twitter where I publish my old journal and throwbacks, I spend hours digging through basically defunct websites to find one fun snippet. From the second I wake up to the second I go to sleep, I not only need to be on the internet for work, but I like to be. I like to read and post and see what my friends are posting. I like the feeling of getting notifications and praise and likes, because I am obsessive and love attention. And that’s fine, I guess, because that’s how my brain works. If it wasn’t the internet, the lovely internet, it’d be something else. But lately, where the internet was once something I did on purpose, for fun, it’s becoming necessary and all-consuming. I am on it 24/7. That was okay for a while, but it’s starting to feel a little stunting. Because I mostly write about the 2000s, I already feel a bit like I’m stuck in the past. I do like the past, but because I am on the internet constantly, I’m relentlessly bombarded by everyone else’s opinions and work and I don’t have any space or time to make new ideas. So I stay in the past, I keep writing what I know. And for the most part I like it, but I also wish I could have approximately 3-6 months 'off' to get in touch with new ideas and watch new films and read and not know what everyone else thinks. Finding space to explore new things is difficult when we’re expected to be “on” constantly, but it’s not impossible, and recently I started trying to be just a little bit less attached to my phone. The first step was realising that I don’t actually have to know everything all of the time. The second was realising that cold turkey is never going to work for me. The urge to run away to a cabin for a week without my phone is strong, but not only would I be really bored, it wouldn’t solve any of my problems. I love and need the internet and that’s okay. But what I need to do is carve out space in my own life without it. Which is something you have to do consciously. It’s not going to happen naturally when being online is so instinctive. I thought long and hard about what I liked before the internet and it was the same things that I do on it: writing and reading. I’ve just been making time to do it with paper instead of my phone. I go out for walks or sit in my room and I read, really read, without checking my phone every two minutes. Which is hard because thanks to the internet, I have a worse attention span than my dog. I write whatever I think and I try to keep it as uninfluenced by what I’ve read that day. I write without having to post. It kinda works. Sometimes I even have new ideas. But I realise that is still the same as cramming information into your eyes. So what really works for me is doing something that doesn’t require my brain in the same way that the internet does. Do something that uses up your body so that you actually can’t check your social media feeds. 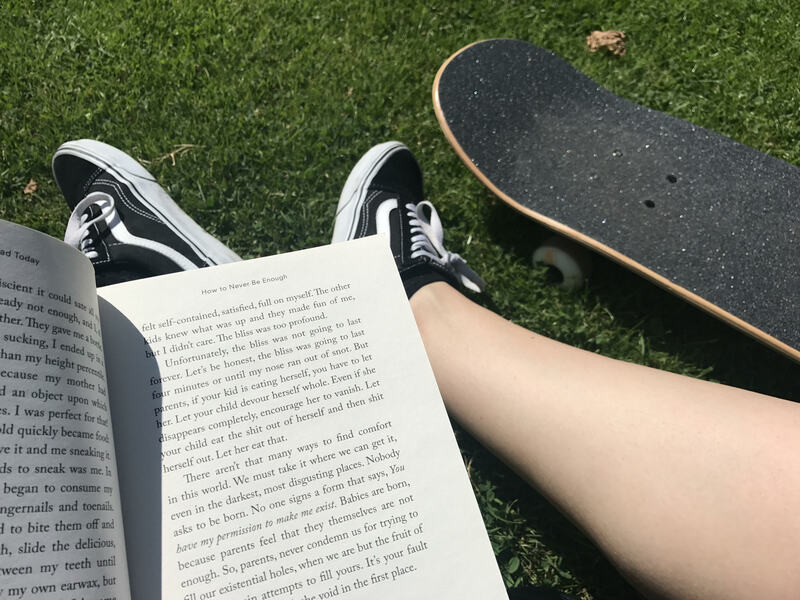 I recently took up skateboarding for the first time in ten years, and despite still being very painfully on-brand and 00s, it’s great for getting me outside and giving me time to think. I enjoy it, and it’s a tangible skill. Sometimes when I’m doing it, I don’t even wish I was on the internet instead. It’s likely that I will depend on the internet for work and for validation until I am dead. It’s also likely that I will continue writing about the past for some time, because I do sincerely enjoy it. That’s okay. But I don’t have to feel trapped by it. As a writer living in London I am not only always logged on but also very, very busy. There’s always somebody I have to speak to or an event I have to go to and it’s fine, mostly, but I really like being alone. Taking the conscious time to do that every day and not just shove food in my mouth and check my phone until bedtime makes me feel less burned out less quickly. It reminds me who I am outside of my dumb brand and outside of the internet and that, maybe, I could live without it if I really had to.